WOULD YOU WANT YOUR CHILDREN TO GROW UP TO BE JUST LIKE YOU? This question came across my desk just over a year ago while preparing for a CFCAM profile. It really made me stop and think since so many of our CFCAM candidates and longtime managers did not start their professional career as a CAM but rather discovered their passion through other avenues. Many of us grew up dreaming of being firefighters and police officers or maybe bankers and attorneys. CAM is probably not on a first graders list of dreams, but they are none the less influenced by community living and community association managers on a regular basis. One of my dreams for FCAP is to one day walk into a high school career day and hear a CFCAM share her chosen profession with college-bound students who see a career in community association management as their first choice. But, we have to start somewhere and that somewhere is FCAP. 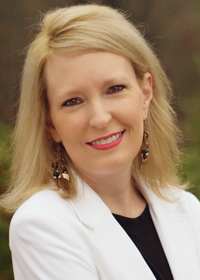 Through the new FCAP Online Learning Center, managers can dive into subjects of interest at their own pace. They can also achieve a professional designation: CFCAM. FCAP has a devoted team of professionals who are ready and willing to meet one-on-one with managers, homeowners, board members, business owners, and, yes, college-bound students to explore the intricacies of this industry in person. FCAP partners also provide a tremendous platform for raising awareness of this industry so our children and the world can learn what it takes to recognize community and shared living as a viable industry. Florida’s Communities of Excellence Award Program is a perfect example of a platform that raises awareness of what is good and positive in the community association industry. The five-year program profiles condominium associations and HOAs and identifies the people who make these communities shine. 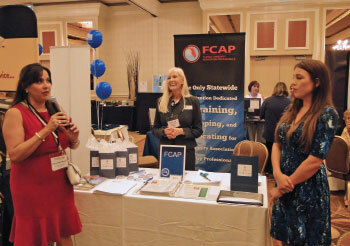 Raising the bar of professionalism and awareness of the community association industry is FCAP’s mission. So, I ask each of you—would you want your children to grow up to be just like you? 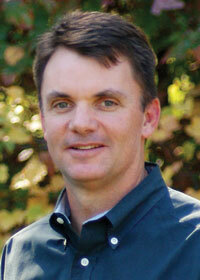 Welcome to “House Calls and Office Visits,” a new column you will see each month in FCAP Alive. FCAP’s COO and Client Relations Manager, Richard Johns, spends his days meeting with members of FCAP, listening to their concerns, planning for the future, and celebrating accomplishments. If you have an event you would like FCAP to cover, simply call or e-mail. The first group to be featured in House Calls and Office Visits is Executive Managers Association (EMA), a South Florida organization serving as a local provider of continuing education units and network for managers. Zayas-Bazan, Director of EMA extended an invitation to FCAP to attend and cover the event held October 7, 2014 in Deerfield Beach at the Double Tree Hilton Grand Ballroom. More than 150 managers attended the 2015 CALL Legislative Update presented by Lisa Magill with Becker & Poliakoff and stayed through the evening for EMA’s Annual Business Expo. 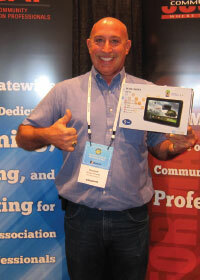 Rick Alexander was the winner of an Android Tablet donated by Carousel Development & Restoration at The Show: Orlando held on September 26. It is with the greatest of pleasure that FCAP announces the required course work for the CFCAM designation program is now available online and has a “work-at-your-own-pace” schedule. 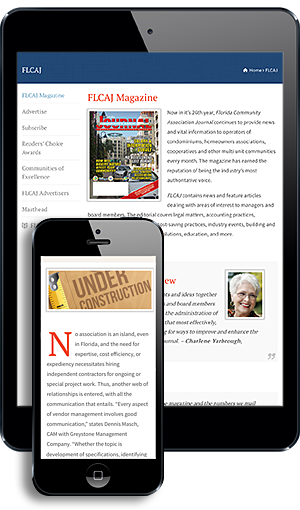 As the community association industry becomes more demanding and the Regulatory Council of Community Association Managers continues its efforts in raising the education requirements for CAMs, FCAP is stepping up to the challenge in offering the highest quality of Florida-specific course work available at this time. With this “continuing goal,” FCAP is enabling you to take your career to the next level both professionally and financially. To learn more about the CFCAM program and required course work, visit the FCAP Online Learning Center at www.FCAPgroup.com/membership/education-training. 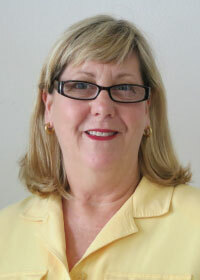 KATHLEEN PRUETT, CAM, CFCAM, TIME-SHARE RESORT MANAGER, CLUB SEA OATS ASSOCIATION, INC. Your Management Philosophy: A timeshare resort is a hybrid—an offspring resulting from the cross-breeding of a hotel, community association, and sales department. It is a very complex organization, requiring expertise in a variety of not necessarily similar areas. Even doing a simple mailing to the owners becomes a large task, for though we only have 24 guest units, we have over 900 owners. My management approach is to do the very best I can in each task, and when I don’t know what to do, put my ego aside and ask for help. My employees, management company, and owners need to know they can depend on my decision and that my decisions are researched, when necessary, and based on knowledge and experience. Your Best Management Tip: Be a problem solver. As manager, one will be asked to solve about one problem each hour; handle the problem now, because in one hour there will be another problem. Why Do You Believe Edu-cation and Training Are Important to the Industry: We are community association managers not community association babysitters. Technology, laws, trends, and people are changing every day and if a manager is not growing and learning every day, then he or she is not upholding the position of trust for which he or she has been hired. Why Are You a Part of FCAP? To be a CAM can be to live in a lonely world. FCAP can be compared to the television show “Who Wants to be a Millionaire?” with FCAP as the lifeline. In FCAP, I can participate along with fellow managers who share their expertise with me, commiserate with me, and just plain understand me.